» Do I Need Drainage for My Driveway? 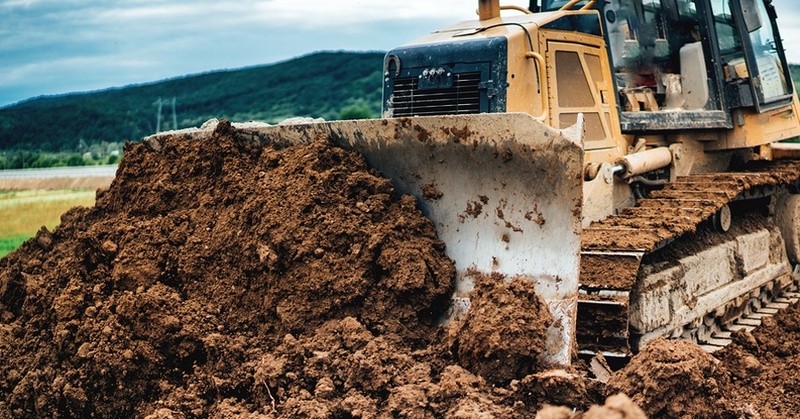 Whether your driveway has been in place for years or you're preparing to install a new surface, you might wonder, "Do I need to consider drainage for my driveway?" Quite frankly, the answer is, yes, you should consider the flow of water off your driveway. Without proper attention, water has the potential to reduce the lifespan of your driveway. A surface that regularly accumulates standing water has a drainage problem that needs to be resolved. A new driveway should be planned with water management in mind. Instead of risking property damage, invest in proper drainage for your paved surface. Ahead, learn more about how you can deal with the water that falls on or around your driveway. Do I need drainage for my driveway if I have standing water that is more than 1” deep, 12 hours after a rainfall? The answer to that question is "yes." Standing water on or around a driveway can be a major source of damage to the surface. Water that gets into the cracks of the driveway will freeze once the weather turns cold. Of course, when water freezes, it expands. This creates powerful pressure under the surface. It's a strong enough force to crack the asphalt or concrete. For this reason, winter can be one of the hardest seasons on your driveway. Rain or snow that lingers on your driveway may contribute to discoloration. With an asphalt driveway, for example, standing water may speed up the fading process. Pooled water may also encourage the growth of algae, which can stain the surface. Puddles of water can also contribute excessive wear to the sealant on your driveway. Damaged sealcoating allows moisture and other contaminants to penetrate the paved surface. Allowing this to happen may prematurely age your driveway. Water that pools around the sides of the driveway may start to erode the pavement's foundation. Standing water can wear away the subbase layers that support the top layer of asphalt or concrete. As this support fails, your driveway may start to sink in places. This contributes to cracked and uneven surfaces. There are a variety of systems that be used to ensure proper driveway drainage. You don't necessarily need to incorporate all of them into your drainage system, but combining a few of them will help reduce the likelihood of standing water on your property. One of the biggest factors in driveway drainage is the grade of the property. This refers to how the driveway and the surrounding area slope. If the driveway is properly graded, water will run off of the surface. If it's done incorrectly, the water may pool, or it may run toward the house or the garage. Driveway pros know that there are two types of gradients that must be considered when installing a surface. The “crossfall” refers to the slope from side to side. Often, driveways are slightly raised in the center and lower along the sides. The endfall refers to the slope from beginning to end. If your driveway is 60 feet long, it will probably need about a 1-foot change in elevation along its length. A perforated pipe might be used for collecting and directing the water. A channel might also be filled with rocks or stone that will encourage the water to gradually drain into the soil. You might find benefit in French drains that span the length or width of your driveway. These drains can help reduce the problem of water that accumulates in the center of the driveway or along its edges. Your property may not have a built-in area where runoff can collect. If you can't direct the water into a nearby storm drain, it's a good idea to construct a place for the water to go. A dry well is a structure that is designed specifically for collecting excess water. The drains or pipes that are installed along your driveway will lead water to this underground collection point. Proper installation of a dry well involves identifying the best location for the well and determining how large the unit needs to be. With careful planning, the dry well can be an out-of-sight, unobtrusive element that doesn't detract from the overall look of your property. When you want to ensure that your drainage job is carried out properly, it's smart to call in the pros. Small home improvements may go okay as a do-it-yourself job, but for multi-step processes, major upgrades or tricky situations, professional guidance can mean the difference between a mess and a success. Water can be an elusive enemy, and taming it can be tricky. In a drainage job gone wrong, you might manage to direct the runoff away from your driveway but find that it ends up pooling on another part of your property instead. You haven't solved a problem; you've just moved it to another spot. What you need is a professional contracting company like Palermo Paving that specializes in both driveway care and drainage installation. An expert of that nature will understand the logistics involved in both caring for your existing driveway surface and directing water to an appropriate runoff site. Relying on a pro reduces the stress involved in fixing your standing water issue, and it increases the likelihood that you'll be satisfied with the results. By the way, the very best time to improve your driveway drainage system is when a new surface is first installed. A professional driveway installation team should design your new driveway with a drainage plan in mind. This sort of forethought will help keep your surface in great shape for years to come. Is drainage important for your driveway? Hopefully, by now, you are fully convinced that proper driveway drainage is a must. Your driveway is a valuable investment, and keeping water from standing on or around it will help keep it in good shape for years to come. Your drainage system may incorporate elements related to gradient or dry wells. At Palermo Paving, our expert team can help you design the water management system that's best for your driveway. Contact us today to get started.